Our decision to partner with MultiSoft has proven to be our best possible solution to a problem we had dealt with for over a year.In a nutshell, our previous supplier of these services had little interest in adjusting their services in any way to fit our requirements. Dealing with their "Customer Service" was, to put it politely, extremely frustrating.The staff at Multisoft, on the other hand, are knowledgeable, friendly, helpful and above all actually dedicated to ensuring that the operating system they are providing us with meets (or exceeds) all of our requirements.My staff are continually amazed that if they encounter any problem with the system, they can simply call MultiSoft, speak to someone and have the problem resolved quickly and effectively.Bottom line is that while the system MultiSoft provides may appear at first glance to be expensive, we have found it to be far more cost-effective than any other system we have ever used.Stan Haley - President Greenwood Health Systems, Inc.
RPS... Responsive Professional ServiceSo much built-in flexibility enables us to do most of the things we need and want with little or no programing expense.... and their customer service is the best!It's so robust, that we are still determining the best way to use all it's functionality to create the best web system and customer experience.... and looking forward to some additional options for member genealogy reporting.Quick start-up, robust reliable platform. Hey, I want to tell you, your team is incredible. I love people that do stuff and get it done. I appreciate the heck out of David. He does stuff. He is the best customer service person I've dealt with in ages, and Jessie for that matter.Since I've taken over from John, I'm having the greatest experience ever with your company. I mean, it is awesome. I tell people every day. People in the field. Couple of glitches here and there, 90% of the time it's our fault. So I wanted to let you know that.Another thing we want to integrate is i-payout. We just got an account that I need to do, so I guess I can talk to Amit about that. He's been awesome. He's been incredible. He did stuff for our app, He's just all over it. Andrew's always good. He answers the phone. So I can't say enough about your company. I mean, you could put me on film to say how good you guys are.But David is unbelievable. I mean, he is responsive, gets stuff done, walks me through it, sends me videos. He's been an incredible help. So it's all good. Everything is good.So hey, I appreciate you and appreciate your company. I was asked to give a testimony about Multisoft. I thought that's easy it's a great company run by great people, but then I realized it's really about the team they have. It simply started with me reaching out to Robert the CEO of Multisoft about some pricing in regards to another software option for our company. The rest is history. He's probably one of the best CEO's I know. He's out front leading the charge. Leading by example both in customer service, sales ability out pacing his own sales team. Even when hurricane Irma devastated southern Florida where Robert resides and Multisoft is headquartered, he never lost a beat. No power, internet etc. He just kept it moving while are company was in the middle of a prelaunch. Any issues we had were taken care of in a timely matter exceeding our expectations. The team is amazing! Over 30 years of experience, being worldwide in 4 countries, 5 offices, 60 plus employees with everything stored up in the cloud for security and safety. Speaking of the team. Amazing. It started with Brandy (Superstar) in regards to the compensation plan integration. Then over to Amit (Superstar) who's over the top in every way and I swear he never sleeps. They've got Amanda and Jessie just to name a few who are there for product set up and integrations etc. Their customer support and help desk is incredible. It took me awhile to accept their system because I'm used to direct emails, but once I listened to Robert and started using their system everything clicked. Every request I've submitted has been in a timely matter. In short I live by the principle of under promise and over deliver. Don't meet the customers expectations, but rather exceed it and that's exactly what Robert has done with his team and company Multisoft. In short to quote an old phrase: YOU GUY'S ROCK!! "Thank you" for all the hard work and dedication and extra help and monetary savings to get us launched. I really don't think we understood how much work was needed and expected and required at our end for the price we paid. Thanks for reaching out. We get many compliments on the site and we will not hesitate to always recommend you and Multisoft for all the great work you have done. I have had an ongoing business relationship with MultiSoft Corporation and its President, Robert Proctor for over 6 years. MultiSoft and I have collaborated together on many different MLM projects for the purpose implementing commission payment platforms for our mutual clients. I can say from experience that Robert takes a direct and personal interest in the company's clients and strives to ensure that MultiSoft provides only the highest quality of service and support. PayQuicker made the decision to partner with MultiSoft because our mutual principles of marketplace integrity, delivering extraordinary value to clients, and delivering leading-edge technology solutions for the Direct Selling industry make this partnership an ideal match. Their process of on-boarding of our mutual clients is the smoothest we have experienced in the industry as their MarketPowerPRO single source MLM Software is a "once and done" for all of our clients. MultiSoft does not charge any setup fees to our clients as their "when you win, we win" approach to business has served them well for over 30 years. Our partnership increases the ease with which direct selling organizations can expand globally and create happy distributors. We've had great success so far and MultiSoft has become PayQuicker's fastest growing referral partner. With only good things to say about Robert and MultiSoft, we would highly recommend you look into what MultiSoft can offer your business. I have had the pleasure to work with Multisoft and grow our partnership over the last three years. They are dedicated to their customers as well as partners and do everything they can to help them be successful. From a partner's perspective their team has been great to work with in all aspects from sales, marketing, project management, and leadership. I look forward to the future and continued growth of our partnership. Since 1987 MultiSoft Corporation has developed MLM software for the multilevel marketing and direct sales industries. MultiSoft’s International MarketPowerPRO MLM Software as a Service (SaaS) application is a real-time web-based, scalable central source code platform efficiently managing every function of a network marketing business. 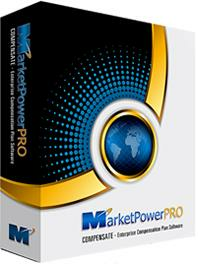 MarketPowerPRO brings key business operations together including CMS website management, replicated distributor sites, e-commerce/shopping, distributor/customer enrollment and CRM, compensation plans, commission calculations/payments, taxes, inventory management, marketing, sales and shipping/receiving with a robust set of web-service API’s. With five offices in four countries – contact a MultiSoft Executive 24 hours a day 5 days a week at +1-239-945-6433.